We love supporting other writers and giving them an opportunity to share their thoughts and ideas! 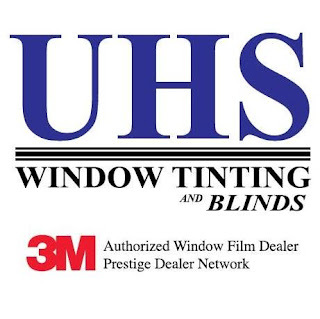 This is a guest post by our new friend, Alex, sponsored by UHS Window Tinting + Blinds. No matter if it is your dream home or your first home, when you first move in to a new house, you have so many ideas and inspiration for what you are going to do to it over the years. You think about how your children will grow up playing in your backyard (maybe under your renovated pergola?! ), how you might add a new nursery one day, or how you could turn your basement into a movie theatre. While you are daydreaming about all of the changes you could make to your home, the one thing you are not thinking about is how costly and timely a lot of updating really takes. Don’t worry, though - there really are simple ways to update your home in 2018 without spending a fortune. Today I'm sharing five simple ways to update your home this year! On average, outlet plates are under two dollars each and light switch plates are usually under three dollars, each. If you have those dreaded old, yellow-tinted outlet and light switch plates, I would highly recommend switching them out for new plates. You could even consider upgrading them a bit, in order to add a dimming option, which would be great. Although this change seems very small in comparison to some renovations and updates, I think you will be pleasantly surprised by the huge difference it will make in the overall look of your home. Replacing these plates are a very inexpensive and simple way to do a little refresh! The moment you hop on Pinterest nowadays, you see so many elaborate kitchen renovations. If you have the time and money for this and it is what you really want, go for it, but I believe there is an inexpensive way to freshen up your kitchen, without spending a fortune. 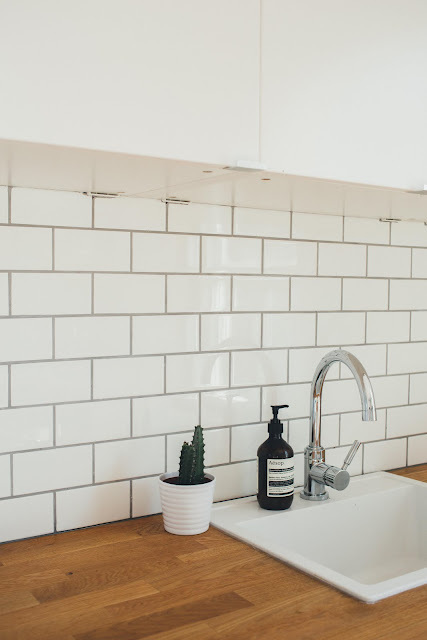 Smaller updates such as replacing your floor, buying new kitchen mats, updating the backsplash, or painting your kitchen cabinets can make a huge change. Yes, replacing your floors can be expensive depending on the material you use, but if you get a discounted tile or laminate and you do it yourself, I think you will have a huge update for a very affordable rate. Same thing with backsplash - choose materials that are lower in price and try to do it yourself. There are so many tutorials out there now, so if you are even the slightest bit handy, I believe you can do it yourself! Did you know that a lot of home purchasers bump up what they will pay for a home if it has really nice landscaping? This is another way to boost the curb appeal, update your home, and save money by doing it yourself. 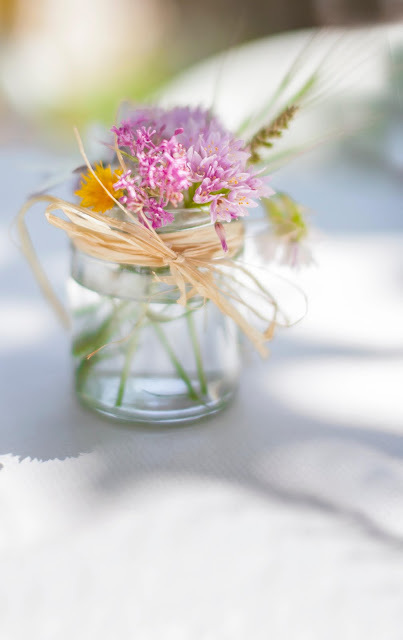 The great thing about doing yard work is the fact that there is not a ‘right way’ to do it - you have complete control and you have the ability to choose the colors, the types of flowers, and the amount of floral and plants that you put in. Window films, or window tinting is a fantastic way to update your home in 2018! Located out of Alpharetta, Georgia, UHS Window Tinting and Blinds says that window tinting let’s natural light in while enhancing privacy, it creates an open feel, even in small spaces, it creates the illusion of etched, treated, or texturized glass with 3M™ Fasara™ Films, and it also allows you to get the elegant look of textures glass with 3M™ Crystal Glass Finishes. Serving the Metro-Atlanta area, UHS Window Tinting and Blinds provides services that are much-needed such as window tinting, security film, decorative film, select blind treatment services, as well as installation. Although it is a fantastic way to update the look of your home, it also has many other benefits such as improving excess heat, cold, and high energy costs in general, increasing safety and security, as well as reducing glare and fading of furniture and artwork. Window tinting through UHS Window Tinting and Blinds is a great service to consider if you are in Georgia! Adding new decor can easily take a home from drab to fab and it can be very inexpensive. For example, adding mirrors can help a home look larger, adding seasonal decorative pillows can help brighten up a room, and adding new rugs can also add color and texture to a room. What are some simple and inexpensive ways you've found to update your home?